Which Tablet Is Right For You? December 3, 2012  For the first time, Apple's iPad has some competition: Google's Nexus, Amazon's Kindle Fire HD and the Microsoft Surface. 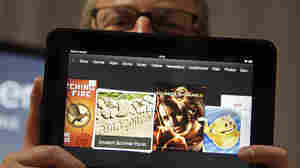 Tech reporters Steve Henn and Laura Sydell have been testing out the latest tablets this holiday season — and found that content is king. October 23, 2012  Apple unveils a smaller version of its popular iPad tablet. 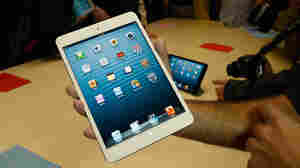 NPR's Laura Sydell gets a hand-on look and finds that the iPad mini is lighter and thinner than she expected. But starting at $329, is it too expensive to compete with other small tablets?